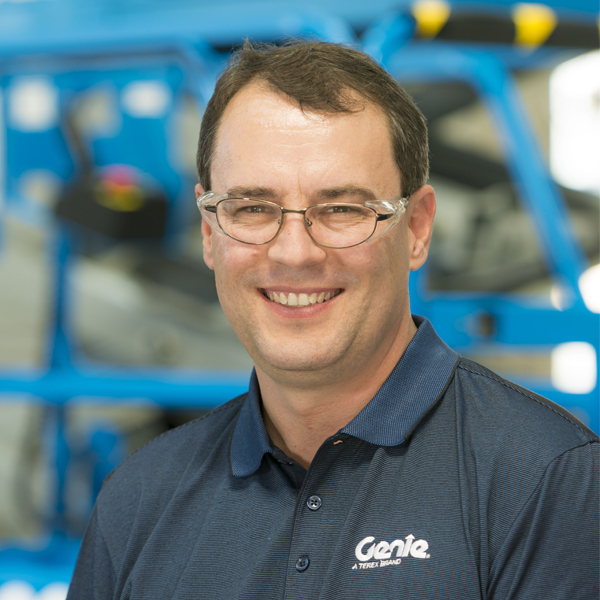 Mike joined Terex AWP in 2006 as a Compliance Engineer and a year later became our Engineering Manager, predominantly responsible for compliance verification of new models and the development of local options for Genie machines. After completing his Mechanical Engineering degree at the University of Queensland in 1996, Mike worked for a number of firms in mobile equipment manufacturing, mining equipment and electrically insulated elevated work platforms. For Mike, the highlights of his role at Terex AWP are the challenge and the diversity of the work. “It’s not just the different types of machines but also the different areas of engineering application — electrics, hydraulics, risk assessment and mechanical design,” says Mike. Mike is proud to be a part of the Terex AWP support team, and he believes that the foundation of the team’s exceptional customer service is the shared “can do” attitude.